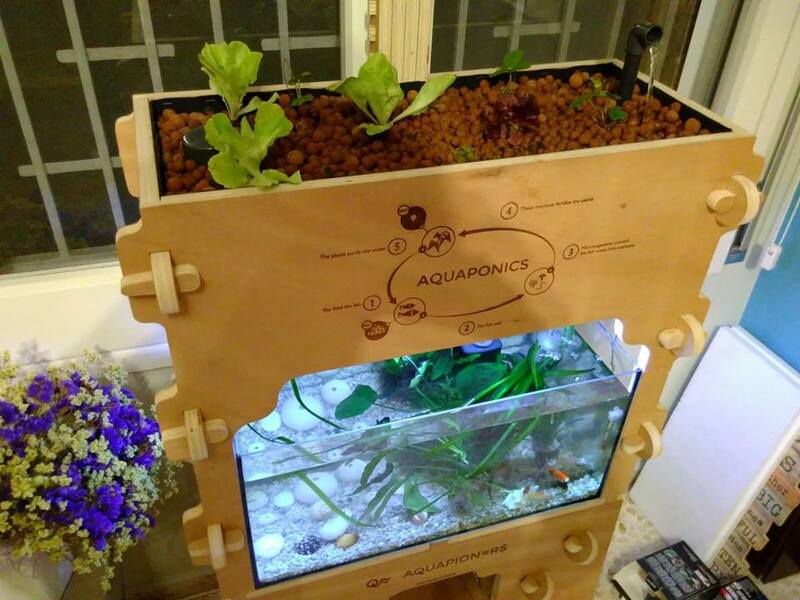 Aquapioneers aim to promote sustainable urban farming in households, offices and schools with a process called Aquaponics - an ancient cultivation technique to cultivate on water, without soil and making use of fish excrements as fertiliser. It is 100% organic, twice as fast as traditional agriculture and saves 90% of water compared to traditional agriculture. Aquaponics is ideal to grow food all year round and for vertical farming, a great match for the lack of space in cities. 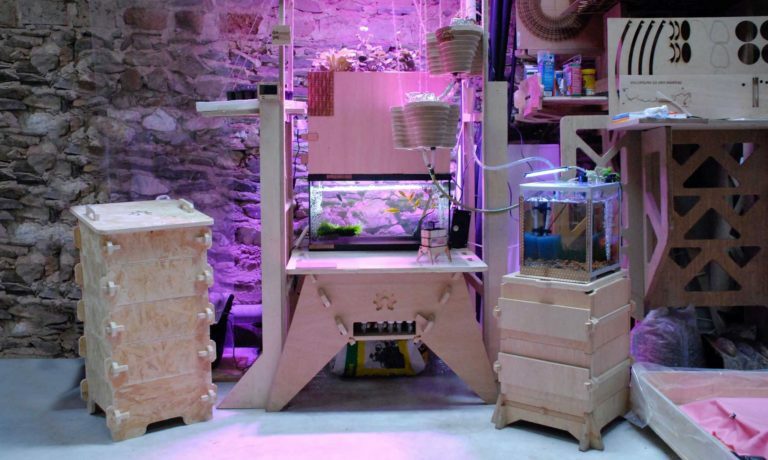 The Aquapioneers kit uses the power of digital fabrication to turn any 50L aquarium into a self-sustaining aquaponics ecosystem. 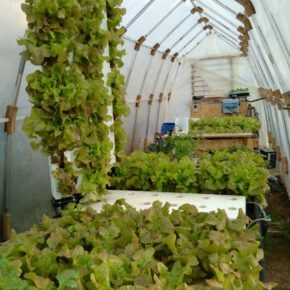 It is a fun, educational, and rewarding experience at the intersection between hardware and ecology, which allows people to grow fresh and tasty food all year long right in the middle of the city. The Institute for Advanced Architecture of Catalonia (IAAC) is a cutting-edge education and research centre dedicated to the development of architectural solutions capable of meeting global habitability challenges in the 21st century. IAAC represents a knowledge-exchange platform with faculty and students from over 40 countries working on multiple scales (city, building, manufacturing) and different areas of expertise (ecology, energy, digital manufacturing, new technologies). IAAC hosts Fab Lab Barcelona, the first and most advanced digital production laboratory in the EU, and the Green Fab Lab, the first digital fabrication laboratory oriented to self-sufficiency: two places where you can build almost anything. Nodo is a team dedicated to the development of architectural projects, interior and product design. The team participate in all stages of the project, from concept, creation and design to manufacturing and finishing. In parallel, it provides consulting services on digital fabrication to architects and designers in order to bring innovative solutions to complex projects. Our main partner, Fab Lab Barcelona, told us about OpenMaker. As we were already seeking public and private funds related to the open source reality of our project, when we discovered OpenMaker, we were sure that it could have provided the help and support we needed! We totally believe that there are more strengths than challenges! First of all, through this kind of partnerships we will have greater access to specialised knowledge, drawing on a wider pool of technical expertise, experience, skilled labour and network. They bring effectiveness by creating well designed products and efficiency by reducing costs. At the same time, the main challenge could be a potential conflict of interest between the counterparts and the loss of autonomy of the weaker partner. The greatest achievement would be to considerably increase the production and exchange of local, sustainable food. 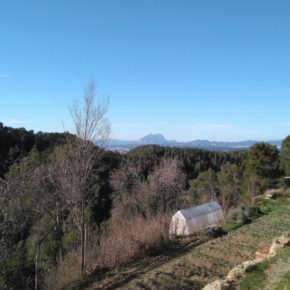 We aim to contribute to the growing urban farming movement in Barcelona and its surroundings, and pave the way to the unbeatable advantages of Aquaponics as a sustainable method of Urban Agriculture. The main challenge will be to change the way people behave and to contrast the current economic power of the agro-food industry. how does this fit into your longer-term plans? We will strengthen the collaboration between Aquapioneers, Fab Lab Barcelona and the local digital carpentry, generating a win-win alliance for all partners if the project succeeds. To avoid mass manufacturing and simplify delivery worldwide, the product will be designed and produced within decentralised manufacturing infrastructures such as Maker Spaces and distributed through online marketplaces like Open Desk. The Open Source files allow others to tweak the design and improve performance at a faster rate than what a tiny start-up could do on its own. Beyond this innovative product, our economic model entails the promotion of the kit as a tool for STEAM education in schools, team-building activities in workplaces and, more generally, as a tool to increase awareness about sustainable agriculture. 'Making' change takes time, right? 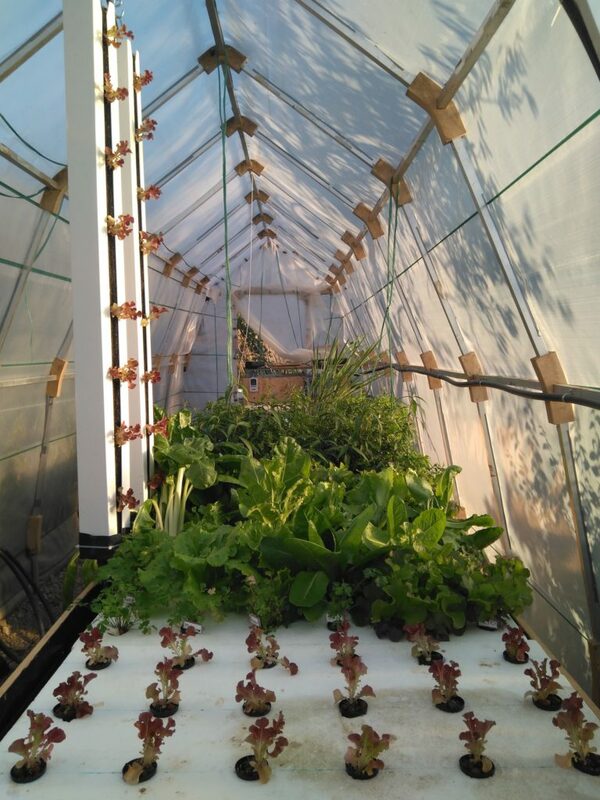 When we started the project, we decided to put seeds in both our traditional garden and in our first prototype of the aquaponics kit. We wanted to make a comparison to see which technique was more efficient … for almost one year, we ate vegetables from the garden before we successfully grew our first aquaponics lettuce.